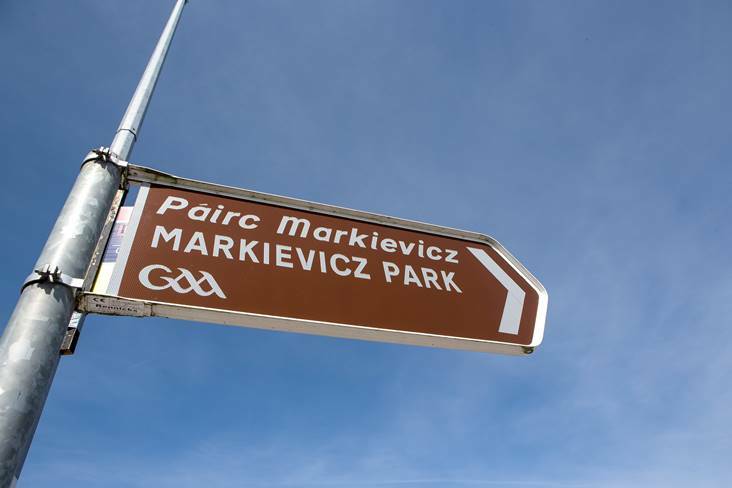 A view of a sign showing the way to Markievicz Park for the All-Ireland SFC qualifiers round 2 clash between Sligo and Armagh. Following the withdrawal of Eamonn O’Hara in the race for the Sligo senior football manager’s job, three candidates remain in the hunt to fill the position. Sligo GAA issued a statement earlier in the week confirming that O’Hara had pulled out of the race to succeed Cathal Corey due to work commitments. The three candidates remaining are believed to be former Roscommon player and joint-manager Fergal O’Donnell, Ex-Longford boss Denis Connerton and current Tourlestrane joint-manager Gerry McGowan. The latter is in charge of the Sligo champions alongside O’Hara and it is thought that this could also have had an impact on the former county star’s decision to not let his name go forward. “Three candidates remain in the running for the position and the selection committee will not make any further announcements until they are in a position to make a recommendation to the county board,” read the statement.